If you want to learn more about how our drug treatment programs can help you, then you’ve come to the right place. As you’re probably aware of, the drug epidemic in this country has reached an all time high. With opioid addiction skyrocketing in recent years, it can be difficult for loved ones to watch their family and friends fall deeper and deeper into a drug addiction. 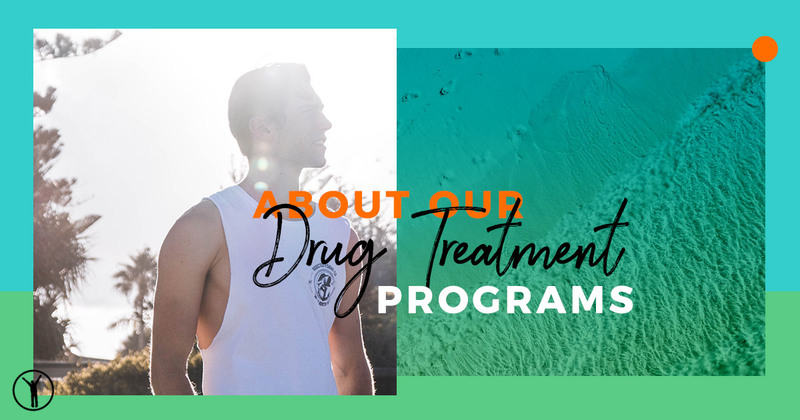 Whether you or a loved one is suffering from an addiction to painkillers or alcohol, no matter where in the country you may be located, we welcome you to a drug treatment program that will allow you to enter a new path of your life. For those who need immediate treatment from our substance abuse treatment center, call (+1) 714-676-5400. In our blog, we’ll be going over information about our drug treatment programs, how you can help your loved ones overcome the disease of addiction, and how to spot the addictive signs in your loved ones. In addition, we’ll go over how to admit that you have a problem with drugs or alcohol and how it’s OK to ask for help to start a different path of your life. To hear what other people have to say about our drug treatment programs, check out our reviews. New Life Detox is located in California, but we encourage anyone from across the country to come to our facilities. No matter if you’re located in Ohio or Arizona, we want you to come to our facility for treatment. One of the benefits of going to a different area for treatment is that it gets you away from your current situation. If you are living with a lot of stress in your life, then leaving and getting away from the triggers of your drug use could be what helps get you on the path of a new and healthy experience. We have three different locations around Orange County, California. Each of the facilities is small and will help you focus on what you need to get better. We have a residential rehab facility, detox residential facility, and an outpatient counseling center. Each of these facilities is close together and will allow you to move throughout drug treatment programs with guidance. At New Life Detox, we focus on a three phase care platform that creates real happiness for each person who comes here. The staff we hire will help you rediscover true joy without needing a stimulant to make you feel happy. We are the beginning of your guided journey and would like to see you achieve success by overcoming your addiction with trained medical professionals and exploring underlying emotional and mental hurdles that have led you down the path of substance abuse. As we touched on above, we have three phases for our drug treatment programs. Each phase will propel you closer and closer to your end goal of living a healthy and happy life without depending on alcohol or drugs.We want to help you overcome your hurdles to encourage you to live a truly tangible and permanently happy life. These three phases can help guide you toward generating joy and managing your fear, anxiety, and depression. We’ll also go over what exactly lead you to drugs and alcohol abuse in the first place so that you can learn to combat the triggers. The first phase of the drug treatment program goes over helping you regain your true sense of happiness in your life. Regardless of whether you’re in the drug detox or the alcohol detox program, we’ll focus on eliminating your physical dependency on chemicals. This phase includes a medical detoxification person that a trained licensed physician will help you with. We know there are chemicals trapped inside your body and by providing a smooth and easy process, we’ll help you overcome the withdrawal symptoms, which tends to be the most difficult part of recovery. In the second phase, you can expect to establish and solidify your sobriety. Once you’ve overcome the physical withdrawal symptoms, your mind will be much more clear to help you notice how you’d like to live again. When your mind is clear, you’ll be able to figure out how you can start to recover and live a happy and fulfilling life. You’ll notice that you won’t need alcohol and drugs in your life and you’ll develop a clear mind that will create sharper thinking abilities and lift the fog from your head. You’ll notice that you’re more alert and aware of what’s going on and how you can address certain situations without drugs or alcohol. Lastly, the third phase is filled with an intensive outpatient counseling program. This means that you’ll be relying on what you learned through the phases to recover on the outside works as well. You’ll continue to come to our facility for counseling, but you’ll be able to get a true sense of happiness in the outside world. In our counseling program, you’ll explore the emotional and physical hurdles of what led you down the path of drugs and alcohol. We’ll help you develop a philosophy of identifying negative thoughts and emotions and how to focus on living in the present and looking forward to a future that’s filled with happiness and health. When you come to New Life Detox, you can expect to work with professionals who will understand what you’re going through. We’ll focus on overcoming the issues that brought you toward a road of substance abuse, help you revitalize your life again, and begin to feel happy by going down the road to recovery. Our goal is to help you look toward a future that’s filled with positives instead of focusing on a past of negatives. If you’re interested in becoming admitted to our drug treatment programs, contact us today.